And all that was awesome. Truly awesome. Yet PACS1 isn’t a day for us. Well, it is because it is the one day that all PACS1 Families come together to celebrate how incredible our journeys have been. It’s why we gather together, sometimes just one or two of us. Other times there are 30 families traveling from around the world. How can you celebrate PACS1 Day? Share our stories, accept our children and be our friend. Bridget’s PACS1 journey begins with her Village. 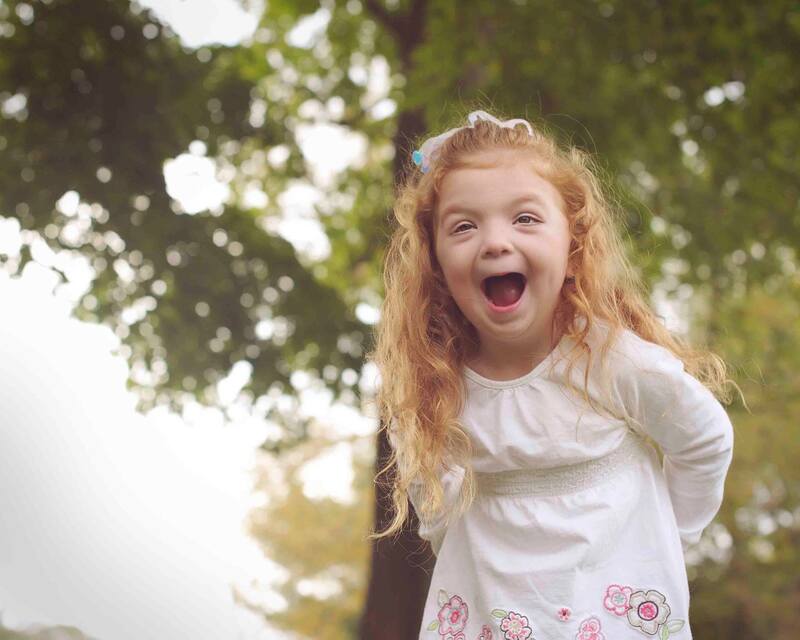 With her teachers, therapists, doctors, ESPs and friends that accept PACS1 is just a part of who Bridget is, just like her red hair and dimple. The support keeps us from feeling isolated. The PACS1 Family makes us feel like we belong, that we have people who get us. When Bridget was diagnosed she was just one of 14 in the World. In 2018 (one year ago today) there were only 56 children diagnosed. Today, Feb 7, 2019 we have 105 children diagnosed. We know there are more families out there, that is why awareness and advocacy is so important to us. Please help us spread our message. Happy PACS1 Day to all of Bridget’s PACS1 Siblings!